Bluehost vs HostGator Comparison (2019)- Here's the Winner! Home » Hosting Reviews » Hosting Comparisons » Bluehost vs HostGator Comparison (2019)- Here’s the Winner! Bluehost vs HostGator Comparison (2019)- Here’s the Winner! Looking for the best hosting service? Bluehost and HostGator are 2 of the best hosting providers out there. But which is truly the best web hosting service: Bluehost or HostGator? Not every web hosting service is created equal. It’s important for you to understand how these 2 hosting providers differ from each other, regarding their pricing plans and features. With our unbiased comparison between HostGator and Bluehost, we’ll help you decide which one is the best choice for you. Bluehost is one of the leading cheap hosting providers on the market. It’s an officially recommended web hosting provider by WordPress.org. They currently host over a million websites from all around the world. Bluehost offers a free domain name, free SSL certificate, and 65% off web hosting. Just like Bluehost, HostGator is also one of the world’s most popular web hosting providers. They particularly rock the shared hosting vertical and host millions of domain names around the globe. With every HostGator plan, you get a vast array of tools that help you build your website the way you want. To conduct a performance test of the hosting servers for our HostGator vs. Bluehost comparison, we created a test site on both hosting servers by signing up to their shared hosting plans. Then, we installed WordPress and added dummy content, including images, to mirror the production environment on our test site. Pingdom test: To monitor website speed and availability. Load Impact test: To record how the server responded during peak load time. Bitcatcha test: To analyze server response times on 8 different international locations by ignoring content of the test site. According to Pingdom, our Bluehost test site took 689 ms to load for a server in Dallas, Texas. That’s faster than 94% of all tested sites. On the other hand, HostGator took 691ms to load for a server in Dallas. That means the load time is almost the same for both Bluehost and HostGator, according to Pingdom. As traffic grew, the site started to slow down, whereas Bluehost’s performance remained the same regardless of the number of visitors. Similarly, HostGator server was rated C by Bitcatcha. The response time was almost as same as Bluehost from multiple locations. Bluehost has revamped their user dashboard, so now it’s easier than ever to launch a website from the ground up. They provide a great onboarding experience to users, which makes it immensely helpful to kick off a site even if you’re an absolute beginner. When starting out, you can get a free domain name and free SSL with Bluehost. 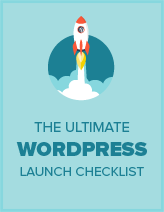 You can also make use of their 1-click WordPress install to quickly launch a site. HostGator, on the other hand, doesn’t offer a free domain name along with your hosting service subscription. Their onboarding experience isn’t as sleek as Bluehost. That being said, it’s not difficult to get started with HostGator thanks to their extensive documentation. They also offer a great website builder to create a website the way you want without hiring a developer. HostGator comes with an easy-to-use drag and drop builder whereas Bluehost doesn’t offer one. With HostGator, you get $200 worth of ad credits with any plan, while Bluehost doesn’t offer it with their starter plan. HostGator comes with a 45-day money back guarantee. On the other hand, with Bluehost, you get only a 30-day guarantee to try out their service risk-free. You can create unlimited subdomains with HostGator, whereas Bluehost only allows you to set up 25 sub domains. You can bill monthly if you’d like with HostGator, but, with Bluehost, you’re required to subscribe to annual plan. Both Bluehost and HostGator offer great support to their customers. HostGator provides 24/7 support via live chat, phone, and email. However, Bluehost no longer provides email-based support in an effort to focus on direct support via phone and live chat. This can be frustrating to users with more advanced issues that may take a bit longer to resolve. HostGator’s robust help center includes 680+ help articles and 500+ video tutorials which help you explore every aspect of web hosting, step-by-step. Both Bluehost’s and HostGator’s hosting options run the gamut from cheap hosting to a full-fledged dedicated server. If you’re getting started with a new website, you can choose their shared / cheap hosting plan. Their cheap hosting plan gives you everything you need to build a site from the ground up, including 1-click WordPress installer, free domain, SSL, etc. 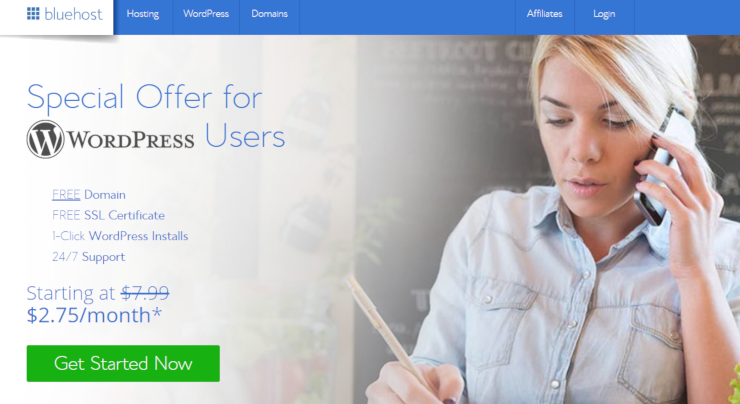 Bluehost $2.75 / mo. $2.75 / mo. - $19.99 / mo. HostGator $2.78 /mo. $5.95 /mo. $19.95 / mo. Compared to Bluehost, HostGator is slightly expensive. If you’re looking for an affordable solution, Bluehost might be a better fit. Bluehost and HostGator are 2 leading web hosting providers on the market. Bluehost offers affordable hosting plans for websites of all sizes. Their hosting options are geared towards beginner-level users. Bluehost provides a great onboarding experience, which is immensely helpful to both beginners and advanced users alike. They also offer a free domain name and free SSL with their hosting plans. HostGator, on the other hand, offers a wide variety of hosting plans tailored to all levels of users. They focus on providing more features with all of their hosting plans. Overall, we believe Bluehost beats their competitors, including HostGator, with their affordable hosting plans. They constantly upgrade their server infrastructure to boost performance and improve user experience. You’d also like to check out our comparison between Bluehost vs iPage. We hope this article helped you choose between Bluehost and HostGator. If you’re starting a new website, then check out our guide on how to start a website.